Light Gray Wool is used in decoration and can be crafted or obtained by shearing a Light Gray Sheep. if the sheep is killed it will also drop one Light Gray Wool. 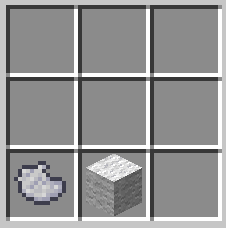 Shearing a light gray wool sheep is the easiest way to obtain it, but killing the sheep will also drop one light gray wool wool.